Fanning stars as a British teen seeking to escape her hometown via an Idol-esque contest. 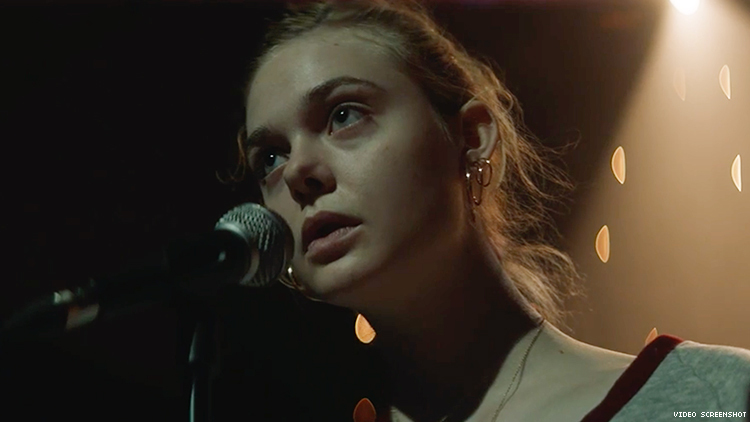 Elle Fanning proves that beyond her sizable acting chops, she’s also got a knack for interpreting modern and classic pop tunes. In the new film Teen Spirit, Fanning plays Violet, a young woman from the Isle of Wight with dreams of leaving the farm she tends with her mother to pursue American Idol-esque dreams. A sweet story of redemption, Teen Spirit is the directorial debut of The Handmaid’s Tale star Max Minghella, and costars Rebecca Hall, Zlatko Buric, and Agnieszka Grochowska. The killer soundtrack includes Violet’s interpretations of Annie Lennox’s “Little Bird,” Grimes’s “Genesis,” Ellie Goulding’s “Lights,” and Robyn’s “Dancing on My Own” as she works her way to becoming a finalist in Britain’s Teen Spirit contest. And Fanning is up to the challenge. New to the pop arena, Violet enlists the help of Vlad (Buric), a former opera star turned drunk, to train her vocally. Their mentor/mentee relationship turns into an abiding friendship but not without some bumps along the way. In the clip below, Violet begins to come out of her shell while performing “Dancing on My Own” for TV judges. Watch the clip below. Teen Spirit is in theaters now.